Just two weeks after we exposed the fact that Hillary Clinton’s official calendar is « missing » a lot of entries, more ‘illegal’ allegations are being exposed from her reign as Secretary of State. In a deposition last week, NYPost reports that Hillary Clinton’s closest aide – Huma Abedin – revelaed that her boss destroyed at least some of her schedules as secretary of state — a revelation that could complicate matters for the presumptive Democratic nominee, who, along with the State Department she ran, is facing numerous lawsuits seeking those public records. Huma Abedin was deposed in connection with a Freedom of Information Act lawsuit into Clinton’s emails — but her admission could be relevant to another lawsuit seeking Clinton’s schedules. Clinton has admitted to destroying “private personal emails” as secretary of state. But Abedin’s admission that she used so-called “burn bags” — a container that material is placed in before it is destroyed — for some of her schedules is the first time anyone close to her has disclosed destroying public records. A former State Department official told The Post it was unprecedented for a diplomat to destroy a schedule like this. “I spent eight years at the State Department and watched as four US ambassadors and two secretaries of state shared their daily schedules with a variety of State Department employees and US officials,” said Richard Grenell, former diplomat and US spokesman at the United Nations. Others said Clinton’s careful approach to her schedule further highlights her recklessness in using a personal server for all her email communications. While former department officials as well as government records experts said that secretaries of state have wide latitude in keeping their schedules, despite federal laws and agency rulings overseeing the archiving of calendars and warning against altering or deleting records. « It’s clear that any outside influence needs to be clearly identified in some way to at least guarantee transparency. That didn’t happen. These discrepancies are striking because of her possible interest at the time in running for the presidency » said Danielle Brian, executive director of the Project on Government Oversight. 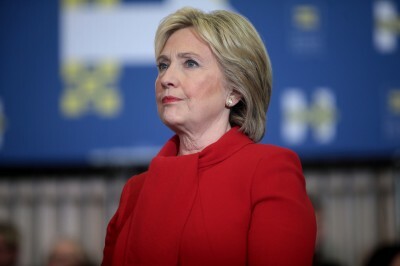 As we concluded previously, so we learn now that not only did Clinton omit key emails to the government, and often times the official schedule omitted – if not outright « redacted » – key names and events as well while Clinton was the Secretary of State, she further « burned » other schedules entirely. Ironically, just as the case was with Abedin submitted an email that Hillary chose to keep from the government, the daily planning schedules from Hillary’s aides now shines a light on the detail Clinton tried to keep from the public record once again. We’re sure that’s just an oversight on Clinton’s part though, she was probably just too busy to make sure the official calendar accurately reflected what was taking place and who the US Secretary of State was meeting with. Will anyone ask the question of what exactly was discussed when Hillary had these so called « private » meetings with Wall Street and big business? Probably not. However, for the sake of our readers and the so-called « posterity », we have decided to document what the rest of the media will ignore, and we will not forget. Still, what difference does a little perjury make? It seems the actions of Hillary (and Bill) Clinton can be summed up in 4 simple words.